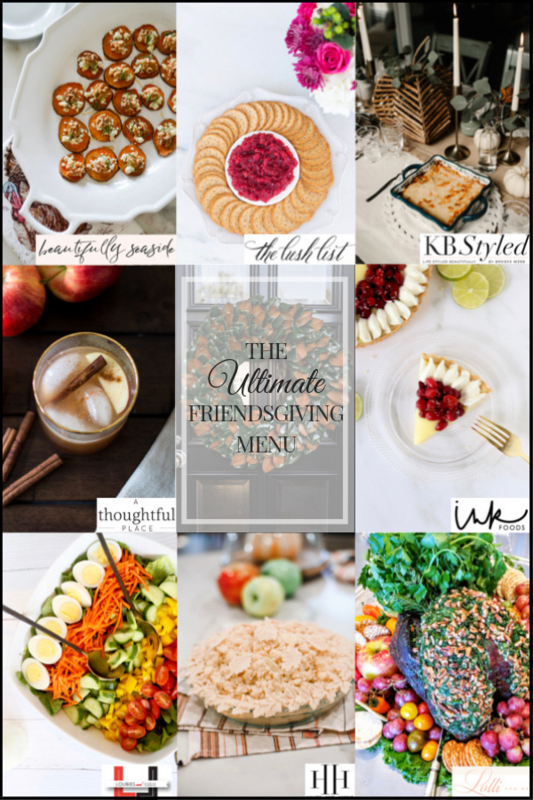 I’m so excited to be teaming up with some very talented ladies to bring the Ultimate Friendsgiving menu. If you’re thinking of hosting some of your gal-pals, we have you covered. In fact after seeing this menu, I am now wanting to plan my own evening. Let everyone one choose one of the recipes and it will all come together beautifully. 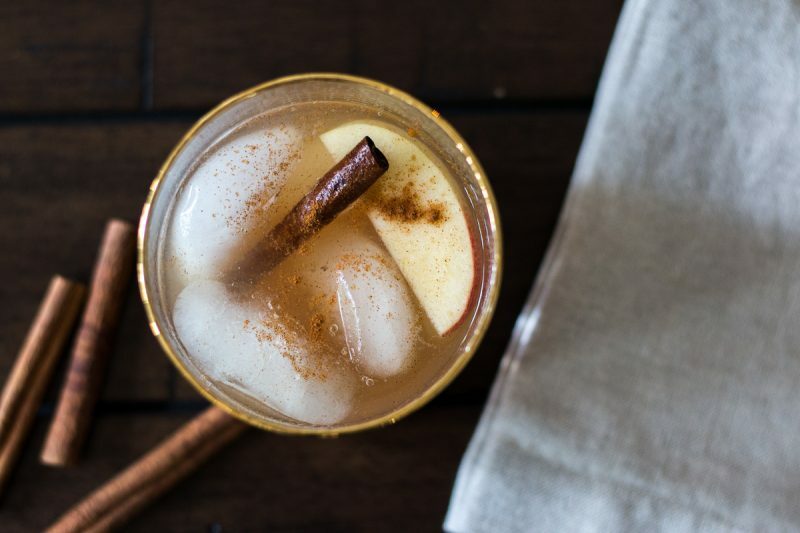 I am sharing a scrumptious cocktail that will get everyone in the holiday spirit. 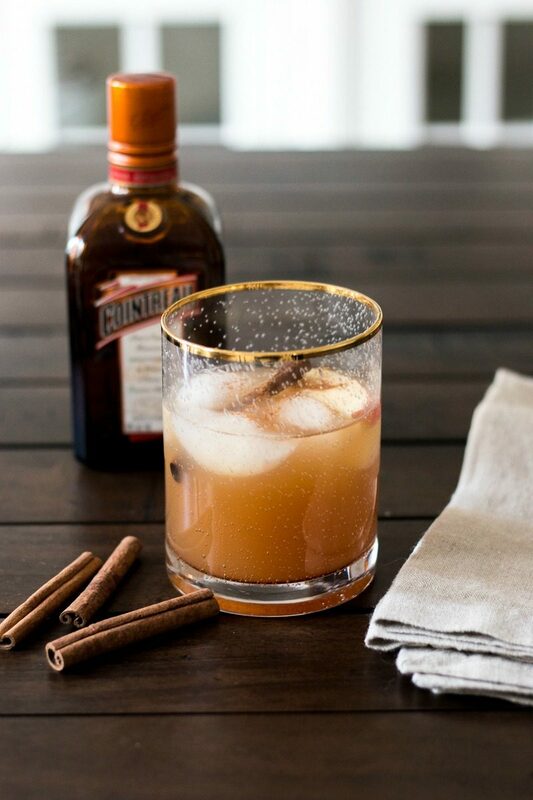 This Cinnamon Apple Cider Margarita is soooooo good. 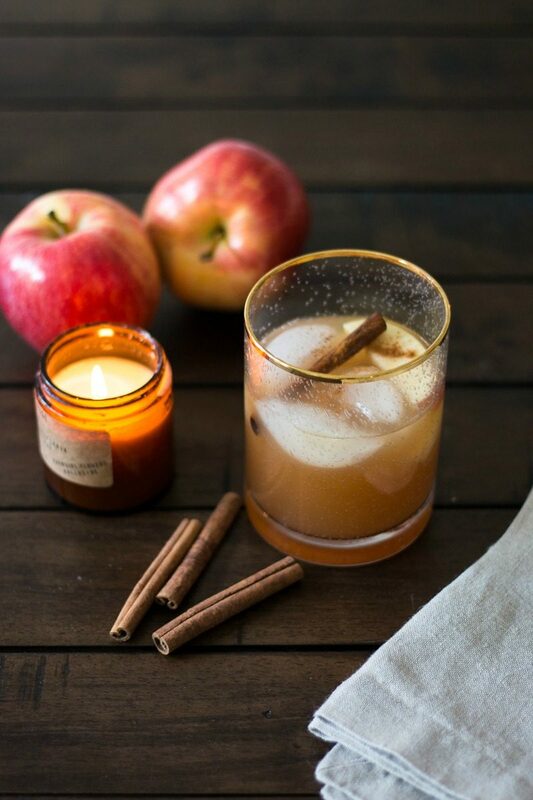 It’s very simple to make and looks so pretty for a Fall evening. Combine in a shaker and pour over ice. 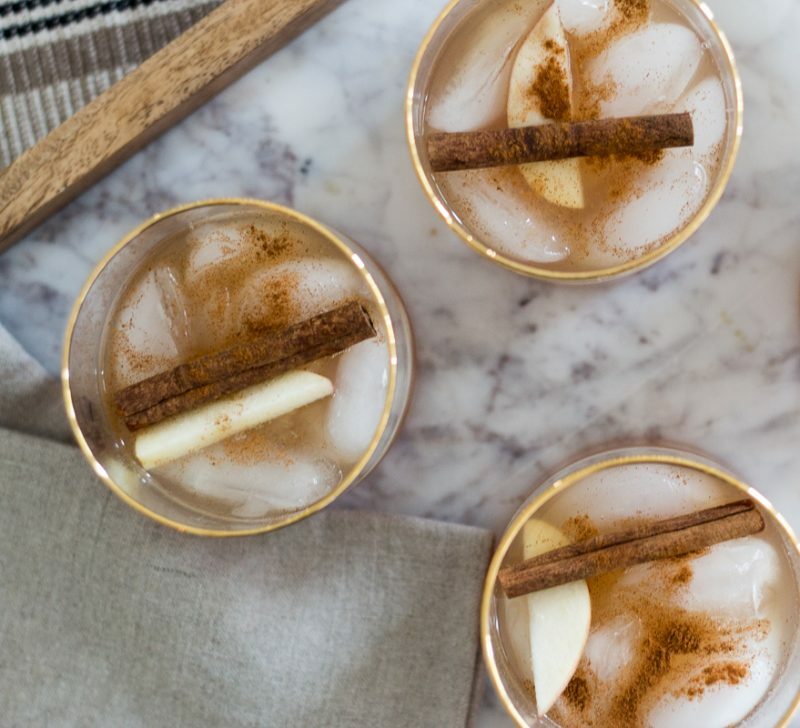 Garnish with one apple slice, a cinnamon stick and a sprinkle of cinnamon. 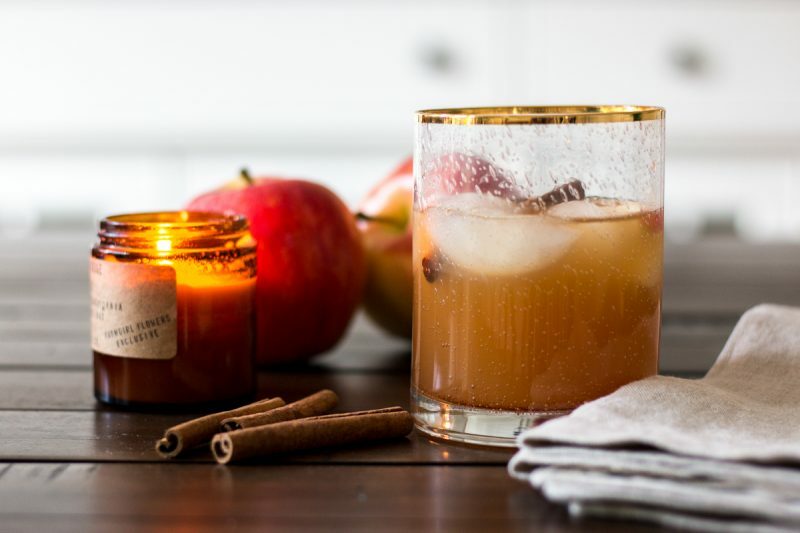 I buy a container of cinnamon sticks from the spice aisle and use one small apple when making these for a party. Delicious! Girl, this is so yummy! Please let me know if you make it and what you think. Super easy to make as guest walk through the door, too. We’ve gotten so much use out of these pretty gold-rimmed glasses. They make a beautiful statement and they are currently on sale. The dress is perfect for the holiday season. It comes in a few colors and is very comfortable. You know my philosophy on entertaining. . . always keep it simple so you can fully enjoy the time with friends or family. 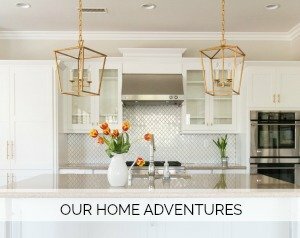 I’ve shared my Thanksgiving tips before and hope that you’ll push yourself to open up your home more often. No one expects perfection. They just want to be invited. Thank you so much for popping in. If you are new to my blog I hope you feel welcome and stay a while. Most of my entertaining posts can be found under the Gatherings tab at the top of my blog. You can also check out my most recent table idea. 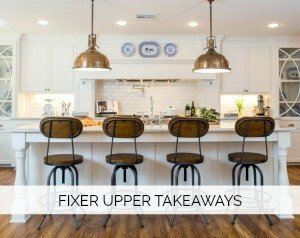 It’s a great way to host if you are short on space or want to keep things very simple. The entire Ultimate Friendsgiving Menu is listed below. Be sure to pin the image below on Pinterest so that you can easily reference all these fabulous recipes! Hope this sparked a desire for you to host a fun evening with your best girlfriends. You won’t regret the memories made. A HUGE thank you to everyone who commented on my latest “Tuesdays with Mama.” I am always humbled and blown away by the thoughts and stories you share. If you want to read more of our journey with Alzheimer’s you can always do that here. *Prayers and thoughts are with Thousand Oaks and all who lost their lives. Such a tragic situation. Sounds interesting Courtney. Come visit Ryan’s mom and make us some of your fancy drinks ???????????? That would be fun. They are so yummy! Definitely trying this cocktail soon! Such a great idea for the drink – I will try it soon. I adore that dress, I have a few from Bardot, they’re feminine and classy, but I buy them through zalando (no Nordstrom in central Europe… ). Hugs for you and your family, especially your mom. Suggested the cider margarita to my husband and he was skeptical, but willing to try. We made them on Saturday night and they were fantastic! 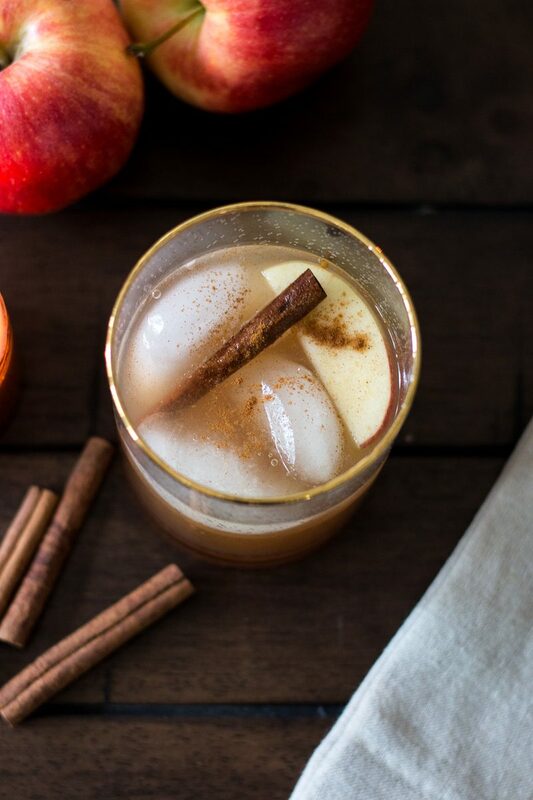 This cocktail will be a new fall tradition!